Additional Information:Son of Peter Carrick, of 26, Argyle St., Maryhill, Glasgow, and the late Mary Jane Kyle. 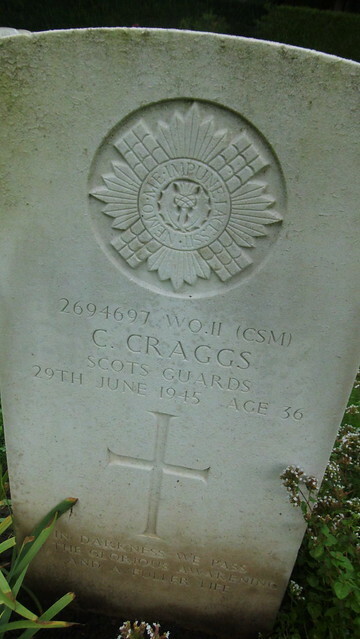 Additional Information:Son of Margaret Carson, of 3, Stanley Place Abbeyhill, Edinburgh; husband of Janet Gray Carson. Additional Information:Son of James and Louisa Mutch Cheyne, of Laverockcairn, Skelmuir, Mintlaw, Aberdeenshire. 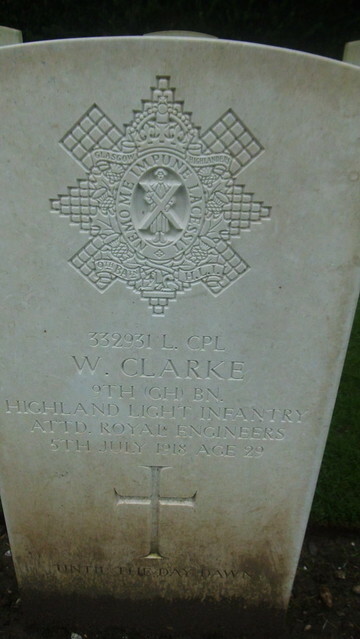 Additional Information:Son of Samuel Douglas Clarke and Isabella Reed Clarke; husband of Isabella Robertson Nicoll Clarke, of Romanno Bridge, West Linton, Peebles-shire..
Information:Husband of Ethel Rose Craggs, of Bognor Regis, Sussex. Regiment/Service:Royal Scots Fusiliers 1st Bn. Additional Information:Son of Walter Currell, of 7, Highland St., Abbott Rd., Poplar, London. Regiment/Service:Highland Light Infantry 51st Bn. 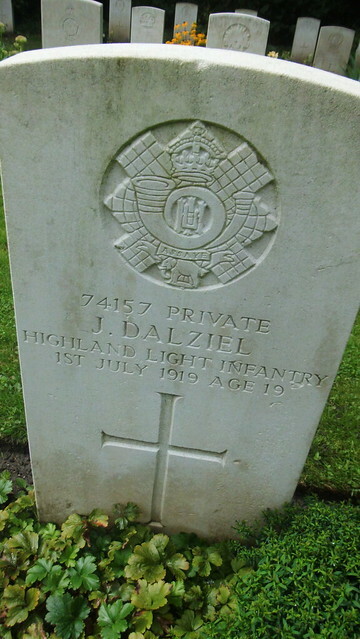 Additional Information:Son of John and Martha Dalziel, of Walton Park, Dalbeattie, Kirkcudbrightshire. Additional Information:Brother of Mr. J. H. Taylor, of 27, Mindale Rd., Wavertree, Liverpool. Regiment/Service:Royal Scots Fusiliers 1st/4th Bn. Additional Information:Son of Isabella Barnes (formerly Davies), of Parton, West Cumberland, and the late John Davies; husband of Isabella Clark Davies, of 34, Govanhill St., Govanhill, Glasgow. 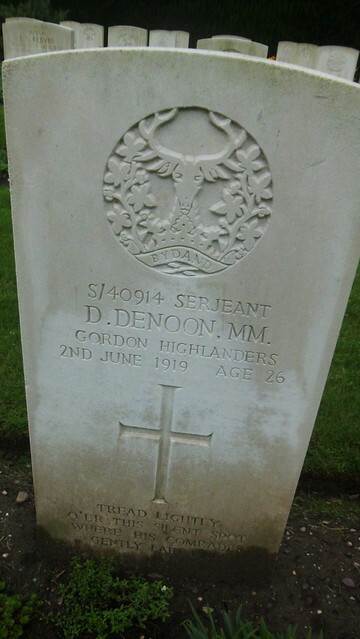 Additional Information:Son of David and Jessie Denoon, of Moss of Meft, Urquhart, Morayshire.